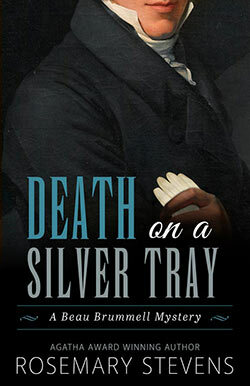 Beau Brummell, Regency London's Arbiter of Fashion, considers murder most unstylish and is pressed into action when he collars a killer. 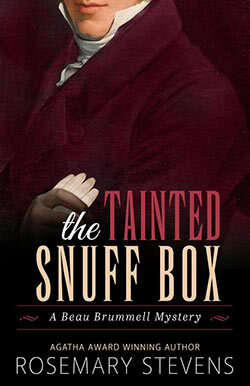 In the days of Regency England, Beau Brummell stood as the uncrowned king of genteel Society. Whatever he wore was the height of fashion. Wherever he went was the place to be seen. And the last place one would expect to find him was in the middle of a murder mystery. 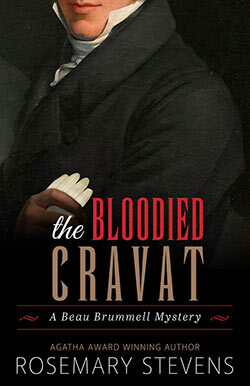 George Bryan "Beau" Brummell was an Oxford-educated gentleman without any aristocratic lineage or family fortune, but his friendship with the Prince of Wales helped elevate him. An independent man of independent means who desired the best of everything — and got it — he rose to become the leader of fashionable society by his wit and his irresistible personality. 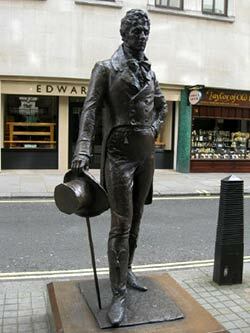 His exquisite manner of dressing, disdain of anything vulgar, and his great appreciation of beauty, combined with an extraordinarily cool composure and rare charm, defined him as one of the truly unique characters in English history.